Quod ego dico, non quod ego faciam. That should be KPMG’s motto. Do what I say, not what I do. It has a ring to it, but more importantly, it goes to the heart of the firm’s business model: quae abscondam – hide stuff. Gender diversity is one theme here. 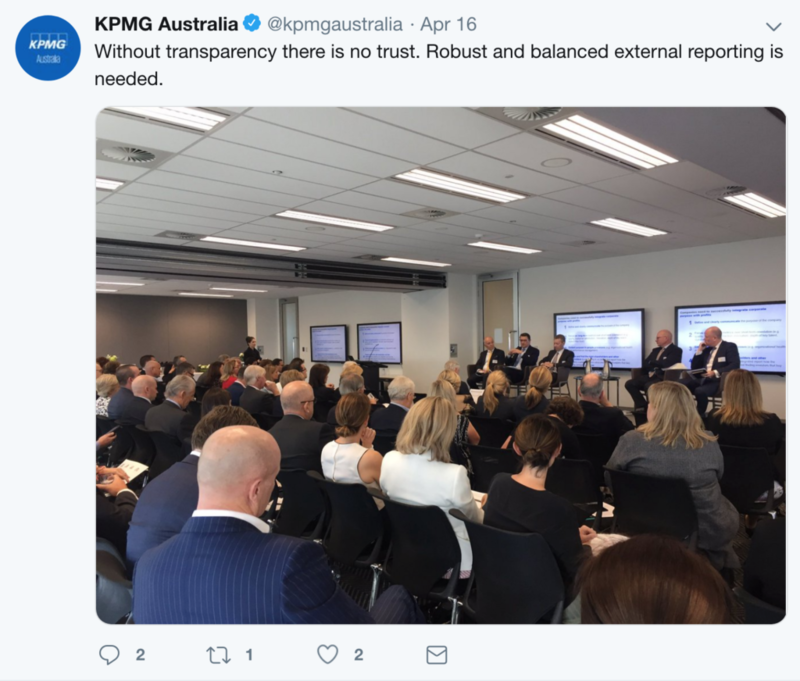 It is good to see a robust and balanced representation of women in the foreground of the photo … looking up at the five old blokes on the stage, but the thing which is perhaps surprising is that KPMG would have the gall to proselytise about transparency, let alone “Robust and balanced external reporting”. The same might be said of all the Big Four accounting firms but as KPMG has kindly offered itself as an exemplar … well, what have we here, fresh from the world’s most expensive source of public information, the Australian Securities & Investments Commission? 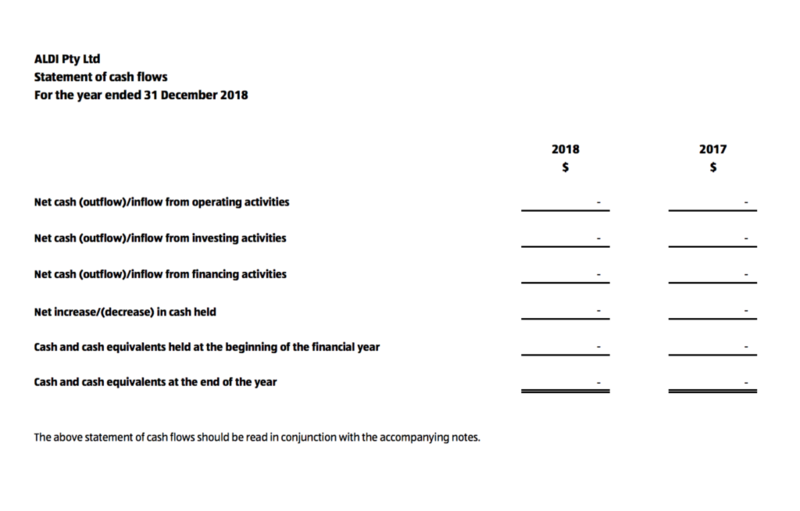 It is Aldi’s 2018 financial statements. These accounts are the apogee of transparency, the very zenith of robustness. 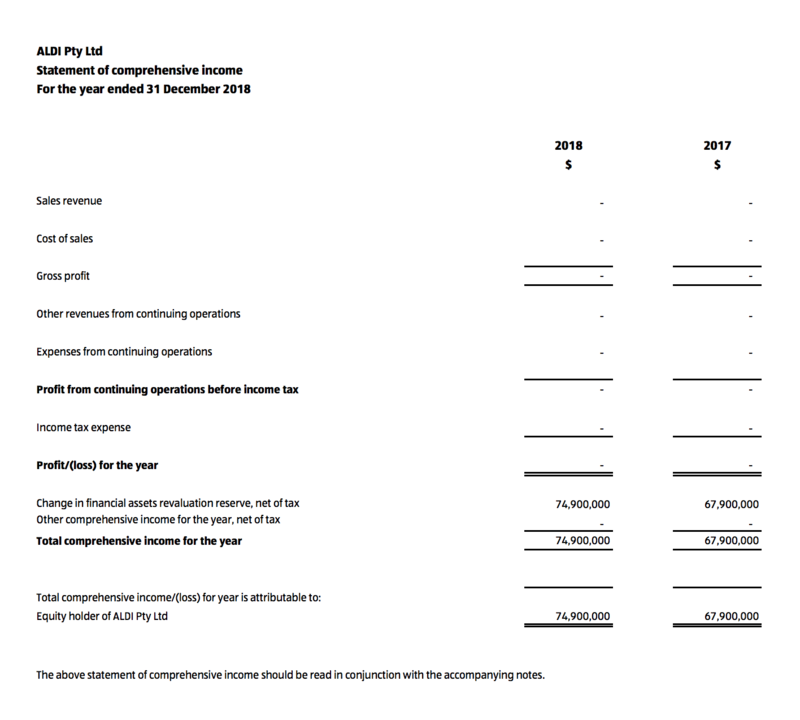 Look no further than the Profit & Loss Statement for this large entity, Aldi Pty Ltd. It has surely not been sullied by a profusion of numbers. Perhaps Aldi and its auditors from KPMG have mistaken themselves for artists and gone for an avant-garde, minimalist look. No revenue, no cost of sales, no nasty tax disclosures here. It is robust in its blank spaces. Even more splendid in its simplicity; elegant, completely pure, entirely uncontaminated by the presence of numbers. How could such trusty transparency and robust external reporting possibly come about? One would have thought that Australia’s third largest supermarket chain, a juggernaut with more than $7 billion in annual grocery sales, might properly account for its activities in this country. 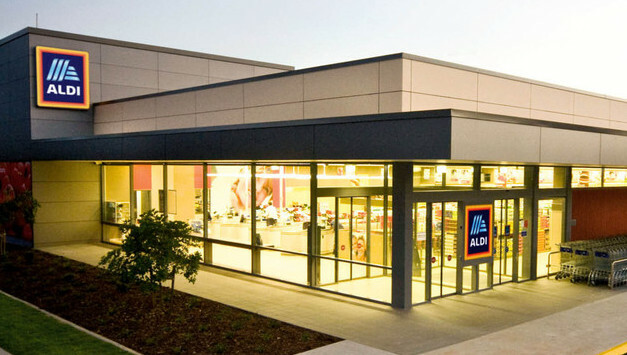 The way it is set up, Aldi Stores – a limited partnership – is the trading entity that holds the business assets of Aldi in Australia. 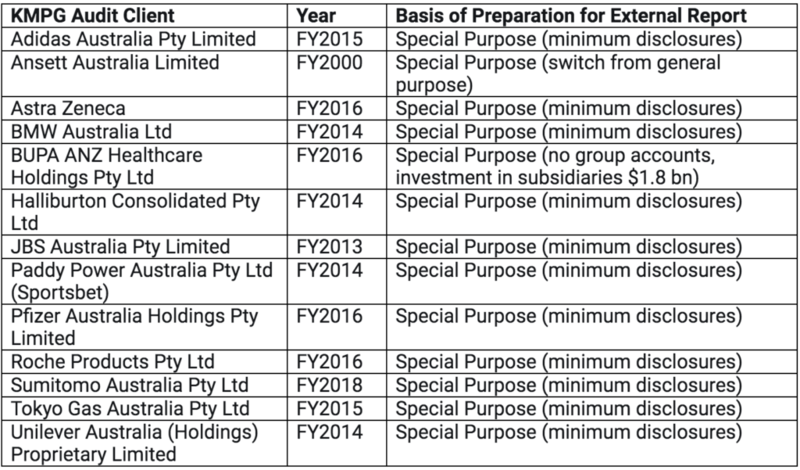 The partners of the partnership are two registered companies, Aldi Pty Ltd (above) and Aldi Foods Pty Ltd; the former has an 80 per cent interest in the partnership income and the latter has 20 per cent. Aldi and its transparency loving auditors argue that Aldi Pty Ltd does not have control of the partnership and so it doesn’t need to bother with producing consolidated accounts. It is an artificial, legal arrangement to avoid transparency in the external reports of Aldi in Australia. Fumus et specula – smoke and mirrors. What we can glean from this, is that when KPMG makes breezy exhortations about transparency and robust external reporting they are referring to what other people ought to be doing, certainly not themselves and their multinational clients. Let’s look at a smattering of the firm’s multinational clients just to make sure that we are not being too mean and snide. Bear in mind that General Purpose (full financial statements) are far more meaningful than Special Purpose financial statements and that is why the laws changed a couple of years ago to require “significant global entities” to produce General Purpose. Moreover, Special Purpose reporting entails a judgement of directors and their auditors that nobody apart from the company’s shareholders – in this case the Germans – have any interest or entitlement in reading them. Not Aldi’s thousands of suppliers and creditors, not its millions of customers. 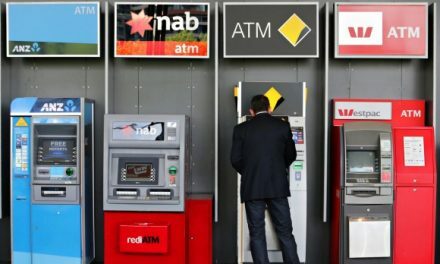 This has all come about because the Big Four are out of control and do what they like; gouge billions in consulting fees from governments state and federal, let themselves be totally conflicted by providing tax dodging advice to the same companies they audit, and then tell the government how it should be conducting its tax policy. They are aided and abetted by feeble regulators such as the Financial Reporting Council which also sallies forth and asserts how well financial reporting is going. They would say that. The grand irony however is that KPMG, like its Big Four peers, is a partnership itself, an arcane 19th century structure whose raison d’etre is to hide stuff. The financial disclosures they make are puny, just one number once a year – revenue. And that revenue has been soaring about ten per cent a year for each firm in a two per cent inflation environment. There are few institutions more opaque, less transparent than the Big Four. The Russian Mafia perhaps. Though certainly none of any such influence and size. Not even the Vatican. The notorious Vatican Bank is far more transparent than its auditor PwC. Of course transparency, disclosure, robust external reporting – these are all the enemies of multinational tax avoidance structures. Why else, but to hide things, would Aldi possibly create a structure designed so there is a partnership which owns all the Aldi stores in Australia, all the business assets that is, with two Australian companies as the partners in the partnership. Why? The idea is that the partnership is not subject to external reporting requirements – like KPMG. It is a structure concocted to be opaque, to remove any requirement for robust reporting.